I have babies! Click on my "nursery" link. I am a small scale serious rattery located in North Denver Off of 84th and I-25. I am about 2 blocks from Thornton, Northglenn, Federal Heights, and Westminster. I breed because I love, love, love what I do, my job is to bring love into people's homes. And it's a wonderful positive way to live my life. Rats are fantastic little people and I love to share that with others. They are smart, clean, can learn tricks like a dog, yet litter train like a cat. I love the antics of the rat as they are such little hams. They get so excited to see you and wrestle, play and bounce around when you come to their cage. I also love breeding because of the rat community. I love the people in it and I enjoy being around them. The people are fun, the rats are adorable and I love the camaraderie. 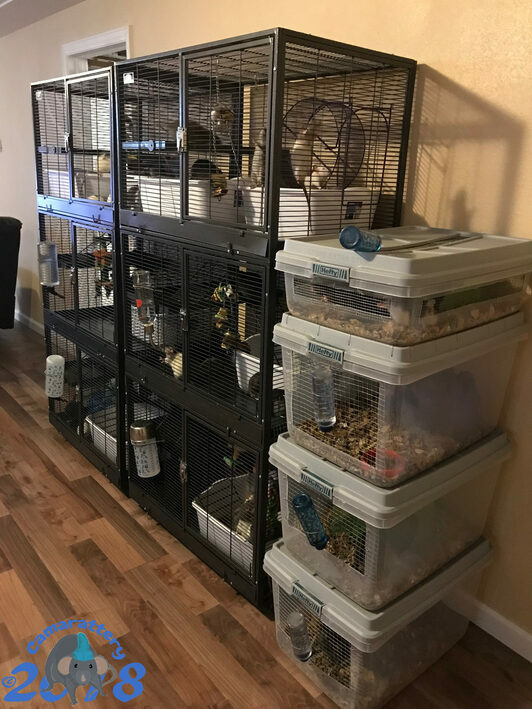 My rats are not pet shop animals, they are all heavily, pedigreed and shipped in from the healthiest lines I could find. And I can verify the health of all the animals in their pedigrees. As I am very meticulous about record keeping. I demand the same from the breeders I adopt from. My rats are bred for health, longevity and temperament. And have an almost tumor free reputation. Most of my rats live from 3-4 years which is easily verifiable. All of my rats are color bred & line bred. It takes me weeks or months of planning before I place each pair together so I can be sure of the best outcome. I want to make it clear that I am not a feeder breeder nor do I sell rats from feeder lines. 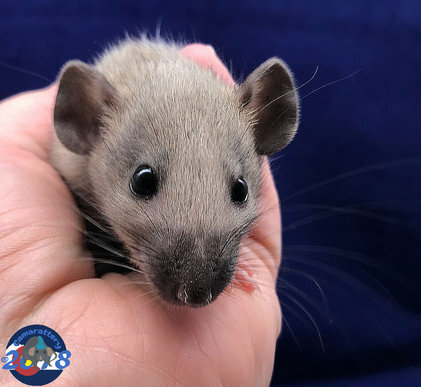 There are plenty of feeder breeders in Colorado and they make it very hard for you to tell if they are a feeder breeder or a quality rat breeder. I am strictly a quality pedigreed pet rat breeder working on lines who are proven for longevity and mellow dispositions. As a professional breeder, which I am very serious about, I am always determined to provide the highest quality experience for my adopters. I am there for my adopters throughout the entire life of the rats they adopt from me. I do not breed or keep rats for a profit, and I do not breed in dingy conditions. Everything I do is with the highest respect for the animals I care for. From the caging, toys and food I feed, to the respect I show them with the high quality photos I take. I have pictures in National Geographic as well as Cengage Learning publications to prove my insistence of quality and excellence. And to add to my portfolio of photography skills. So when you adopt from me you know that every facet of care I give these animals is the best you can get. I don't play around with a hobby in the back yard, these animals are in pristine conditions in my home, eating the organic foods I eat, and getting love from me daily. Animals deserve every bit of respect they can get, after all they have saved me in every way that a human can be saved. I could not do it without them. Currently I am the oldest breeder in Colorado. My lines are very well established with known health history and longevity. I have a lot of experience doing what I do. I also work closely with Emerald City Rattery in Colorado Springs who I have mentored since 2009. She is the only other breeder in Colorado I reccomend at this time. We also have a ton of feeder/mill breeders and back yard breeders in Colorado, who I hear a lot of complaints about. This makes it hard to figure out who to trust. Feeder/mill breeders are giving out a lot of misinformation about pet rats and pet rat care also. My website is meant to provide up to date and correct info to help you properly care for your pet rats. Please note I am not a pet store that adopts to everyone that asks for rats. Since I'm a small breeder this affords me the ability to be very picky about who adopts my rats. Furthermore, I rigorously screen each adopter and heavily contract each and every one of them. This way I know my rats will be cared for in a respectful and ethical manner. Because of this I do turn down quite a few potential adopters, if I see they do not agree to my terms. My adopters need to show me they care before I adopt to them, its as simple as that. I do appreciate my adopters and I couldn't breed without them, but I do breed for myself and to reach my own goals. I cannot however keep all the babies I produce, which is where you can benefit from my breeding's. Please do a bit of research on my website before contacting me. And if you want to adopt read my adoption process page to get you started. Read more about my lines here. Read about my ethics here. See what my adopters say! The only email you will get from me is my litter announcements on the occasion that I have a litter available. 100% Dumbo! 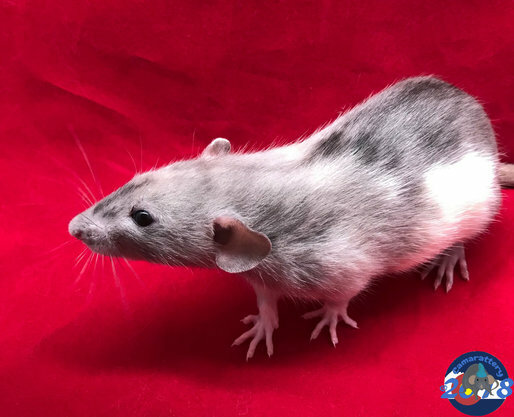 Dwarf, Black, Angora - Newly Discovered, Harley, Chinchilla, Chocolate, Red Eyed Marten, Silvermane, Marble, Whiteside, Hairless, Harlan Dark Agouti, Masked/Patched/Dalmatian, Fawn, Blazes, Albino, Hooded, Siamese, Burmese, Sable Burmese, Russian Blue, American Blue. Favorite mixes I love to do: Self Black Silvermane Whiteside, Self Harlan Dark Agouti Silvermane Whiteside both with Down Under bellies! Self Black Silvermane and Harlan Dark Agouti Silvermane. Self Black Marble Whiteside. Albino Hairless. - Why Adopt From Cama? Visit My Rats At The Museum! Camarattery Is a Member of the American Fancy Rat & Mouse Association. 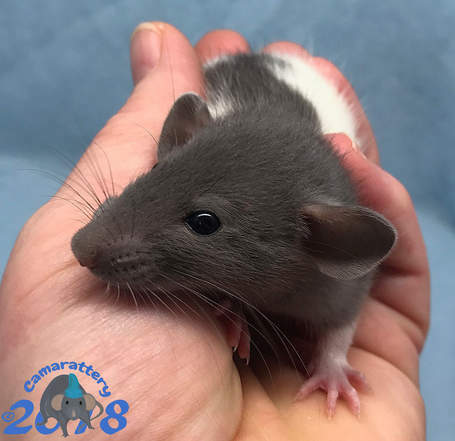 Camarattery rats are bred to AFRMA show standards.